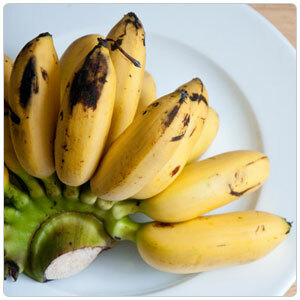 Baby bananas are 4-5 inches in length, with a rich, sweet flavor, creamy texture and thin skin. Because of their size, Baby Bananas make excellent snacks. Great for eating out of hand. Bananas grow best in wet tropical conditions and establish themselves quickly, often producing harvest within fifteen months after planting.